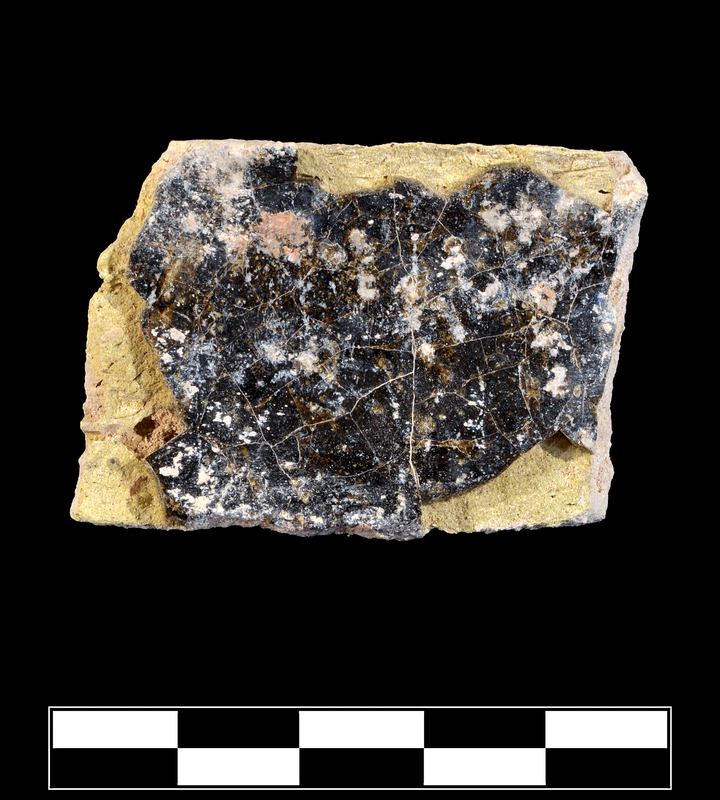 Fragment of brick-like terracotta with one slightly concave surface coated with thin layer of glass (Th. 0.003 m). Remains of glass crucible? tubular channels? Cf. KTH108a-e, KTH110a-c, KTH150, KTH212, KTH2116. Small, brittle light buff sherd, apparently overheated, with small pebble incorporated into one broken surface. One broad yellowish surface slightly concave with a thin layer of dark greenish brown glass adhering (PMS 445C). Light craqueleur on the glassy layer, with a few small bubble holes (rapidly cooled). 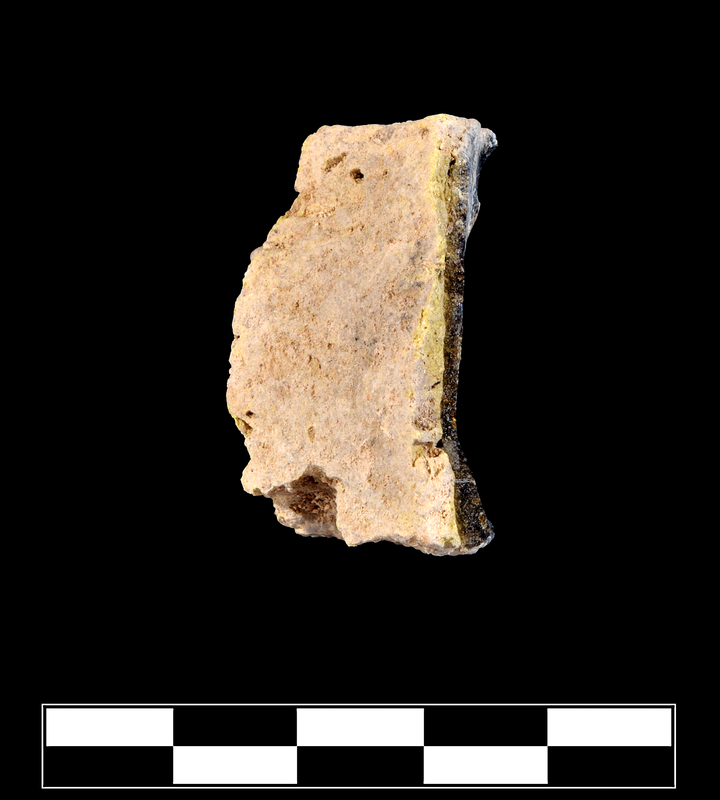 One fragment broken on all sides, roughly rectangular. Slight, sparse abrasion; scattered traces of encrustation.